A few years ago we took a trip to Nashville and tried Banana Pudding for the first time. It's an iconic Southern dessert that's simple to make and very comforting! Recently for Matt's birthday dinner his wish was to have an old school glazed ham with pineapple and cherries. I served it with scalloped potatoes and black-eyed peas, and banana pudding for dessert. It was a great meal. 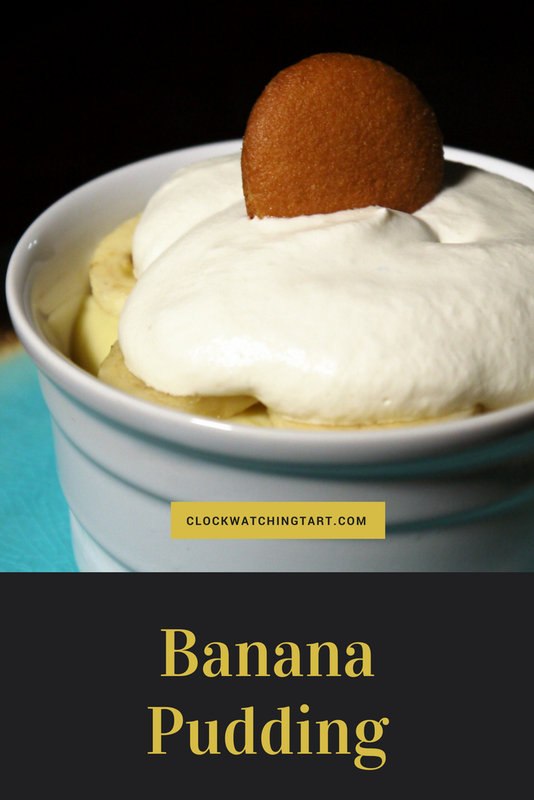 The banana pudding should be made in advance, so it's a great dessert for a dinner party. The wafers soften in the custard and make a lovely-textured treat. You can assemble it the day before for the best texture. I used this recipe from Smitten Kitchen as inspiration, but I didn't make my own vanilla wafers, I used store-bought Nilla Wafers. Making the custard is the most challenging part, but it's pretty simple. Definitely try this simple, fun dessert! To make the custard, place the egg yolks, sugar, cornstarch and salt in a medium pot. Whisk them together, then whisk in the milk in a slow stream until combined. Place the pot over medium heat and bring to a simmer while stirring. I like to use a rubber spatula for this. Keep stirring as it simmers for about 5 minutes until the custard thickens enough to coat the back of a spoon. Once thick, remove from heat and whisk in butter, vanilla and bourbon. Place plastic wrap on the surface of the custard and chill for 4 hours or overnight. To assemble, place wafers in a layer in the bottom of each ramekin. You can also make this in one big dish if you don't have individual serving dishes. You may need to break some cookies to make a full layer, that's ok! 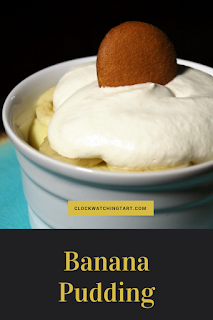 On top of the wafers, dollop a layer of custard, then a layer of sliced bananas. Repeat with a layer of wafers, custard and bananas until all the bananas and custard are used up. Cover the dishes and refrigerate for at least 4 hours, but even better overnight. When ready to serve, whip cream with sugar and bourbon until soft peaks form. Dollop whipped cream on top of puddings and place a Nilla wafer on top. Creamy, rich and not too sweet. This is a perfect dessert! Enjoy.